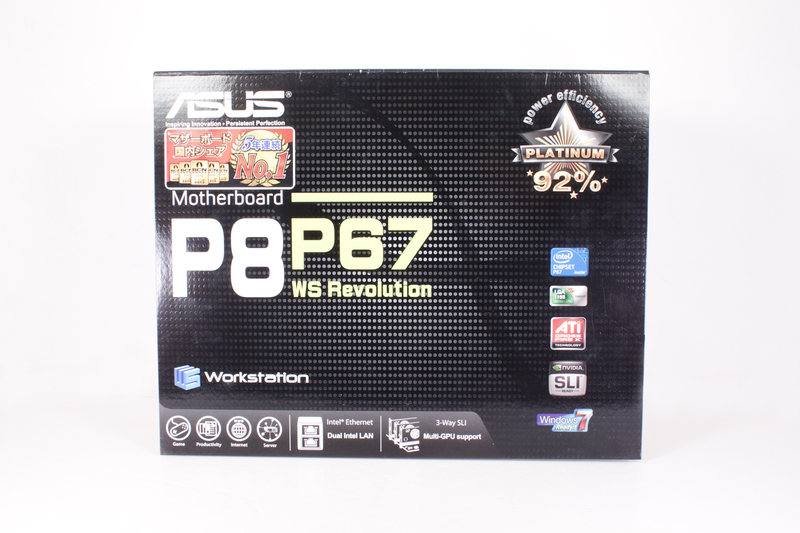 For our second review of 2011 we thought we would take a look at a P67 board (despite all the drama). 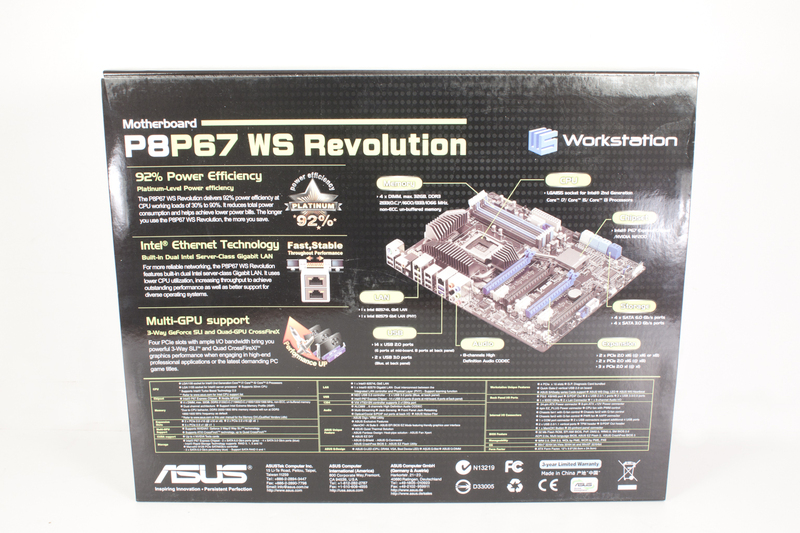 We chose the Asus P8P67 WS Revolution. 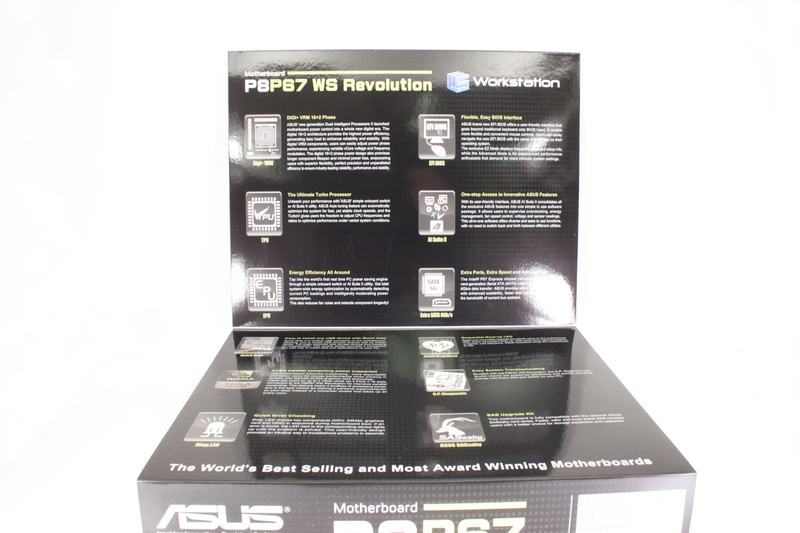 This board (like you did not know) is part of Asus’ workstation line up, but that does not mean that it is boring. In fact the WS Revolution is anything but boring. It has been built with the professional enthusiast in mind. You get items like an NF200 chip to help support three way SLI and Crossfire, a 92% power efficiency rating, multiple SATA 3.0 ports (supported by Intel and Marvell), and dual Intel GBe LAN ports. But there is more to it than just the sum of its features. You also get an improved VRM (voltage regulation module), thicker traces for better signal transfer and quite a bit more. With all of this waiting to be tried out, let’s quit the intro chatter and dive into the P8P67 WS Revolution. I am not sure about the look that Asus has chosen for the new boxes here. The older WS boards have boxes that let you know what they were about. The wireframe diagrams and sleek color schemes made them look like they belonged in a high performance system. With the new color scheme I am not sure where this fits in. It is black with some dots on the box as a background pattern. Sure you can see the subtle hints at what the Revolution has in store for you, but there is nothing to really grab you and make you want to buy the product. As with many other manufacturers Asus has the now very typical front flap with extra information about the product. Of course you have to want to pick up the box to begin with, and maybe you will on just the Asus name alone. Still if you get this far there is some information that is interesting. The DIGI+ VRM with 16 + 2 Power phases means that you should be getting clean and stable power to your components, while the SAS upgrade kit will interest the professionals that are looking to add some extra speed to their HDD set. The back of the box has some additional PR information as well as a picture of the board complete with labels. The Dual Intel LAN ports is something that is also nice to see instead of some of the more common Intel + or dual RealTek solution. Once you are done admiring the outside of the box you can slide the slip cover off (yes there is one) and dig inside. 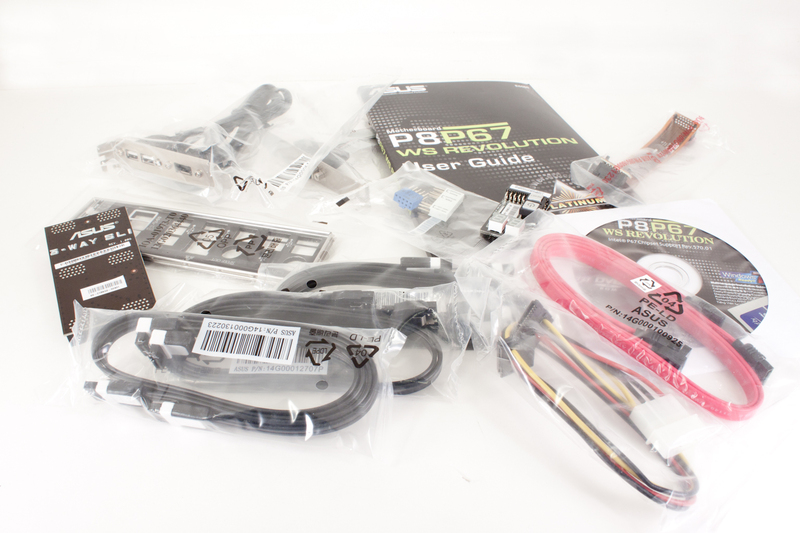 Along with the actual P8P67 WS Revolution motherboard you are getting a nice Tree-way SLI bridge, a combination SLI/Crossfire bridge (for dual card use). But that is not all, you also get two SATA 3.0 cables (no I do not know what makes them better) along with a black and red SATA II cable. 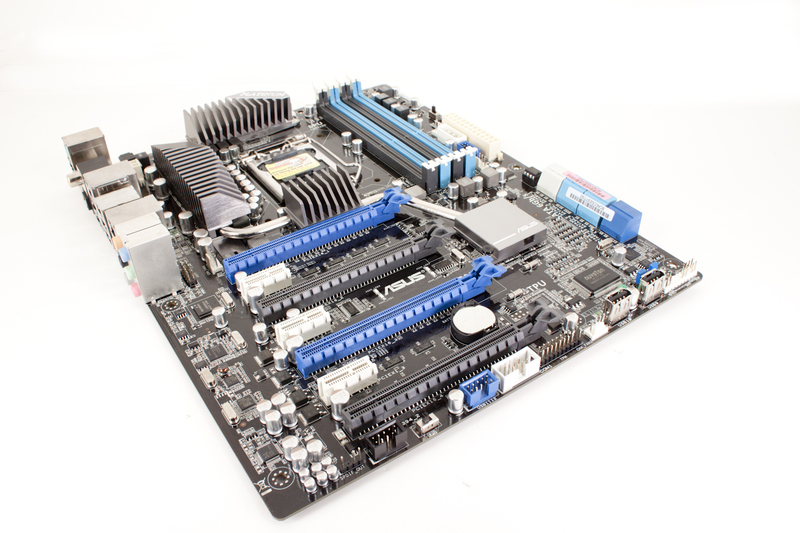 Asus also includes their diagnostic module with their WS boards. It is a nice little touch that really does add some value.